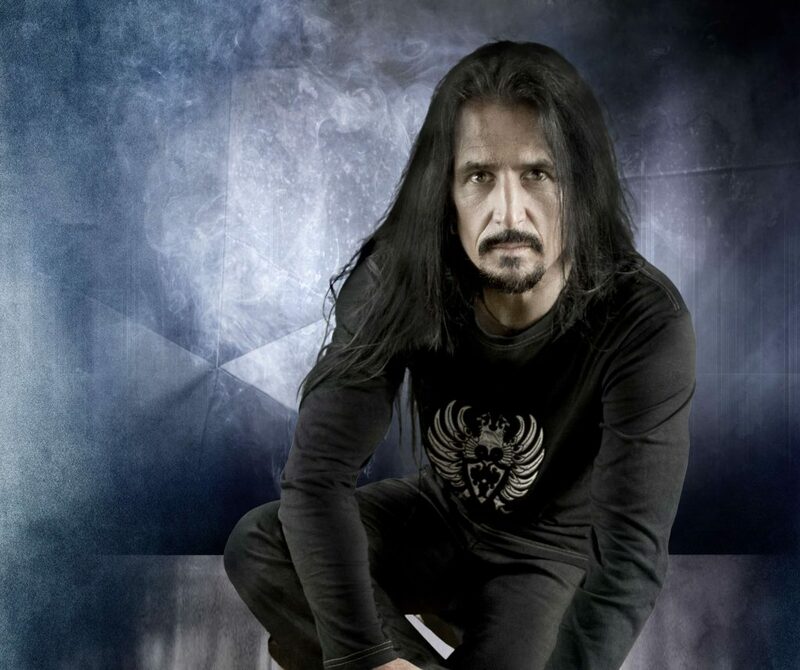 With 30 + years of touring and recording experience with such renowned artists as: Alice Cooper, Paul Rodgers, Uriah Heep, Midge Ure, W.A.S.P., Primal Fear, Annihilator, Bif Naked, Destruction, Udo Lindenberg, Bonnie Tyler, Kim Wilde, Marco Mendoza, Skew Siskin, DuskMachine, Striker, Rebellion, and more, Randy Black was dubbed by the German Drum magazine STICKS as “Mr. Flexible” for his ability to play with various artists with a wide range of styles. Randy is a Canadian-born drummer and recording artist known best for his stints as the drummer for Primal Fear, Annihilator, DuskMachine, Bif Naked, Rebellion, Skew Siskin and has recently shared the stage with such legendary artists as Alice Cooper, Paul Rodgers, Uriah Heep, Bonnie Tyler, Eric Bazillian, Joe Lynn Turner and more. Although Black’s actual acoustic drum configuration is not unique to the field of drumming, Randy’s playing style is notable for his ability to play ambidextrously with a symmetrical set of cymbals, specifically a dual set of remote hi-hats and ride cymbals to his right and to his left respectively. Born in Moose Jaw, Saskatchewan, Randy grew up in Edmonton, Alberta Canada. He got his first professional start in 1980 with a band called ‘’’The Edge’’’ however he didn’t start any serious touring until he join the band “The Kaotics” in 1982. Randy would settle into a serious groove later when he joined the band Click in 1984. Click was known for its extraordinary covers of tracks by such artists as The Who, Led Zeppelin, Queen, Journey and Rush. Covering Rush’s material was one of Click’s strengths. And Randy fit right in with his note for note performances. In 1993, Black moved to Vancouver, Canada and joined Annihilator. Randy’s band mates were astonished at his technical precision and even dubbed him the “human drum-machine”. In 1997, Black recorded with Bif Naked on the album I Bificus. It was shortly after this that Randy moved to Germany. Since then Randy’s done more recording with Annihilator, Rebellion, Skew Siskin, Udo Lindenberg and DuskMachine but it was after Rob Halford’s “Metal Gods Tour” of the U.S. in 2003 that Randy joined the group Primal Fear where he found a suitable home to create and perform his incredibly intricate and entertaining style of drumming. 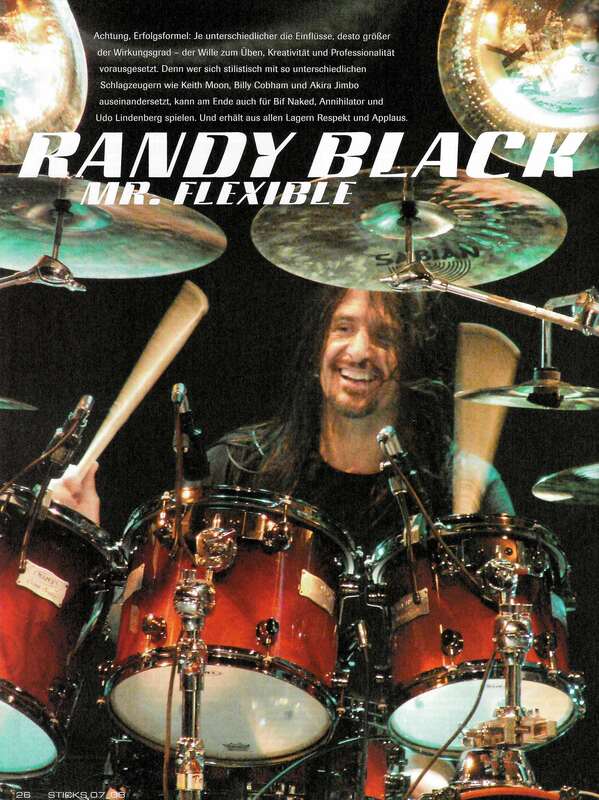 In 2010 Randy released his first drum instructional DVD through Hudson Music Ltd. 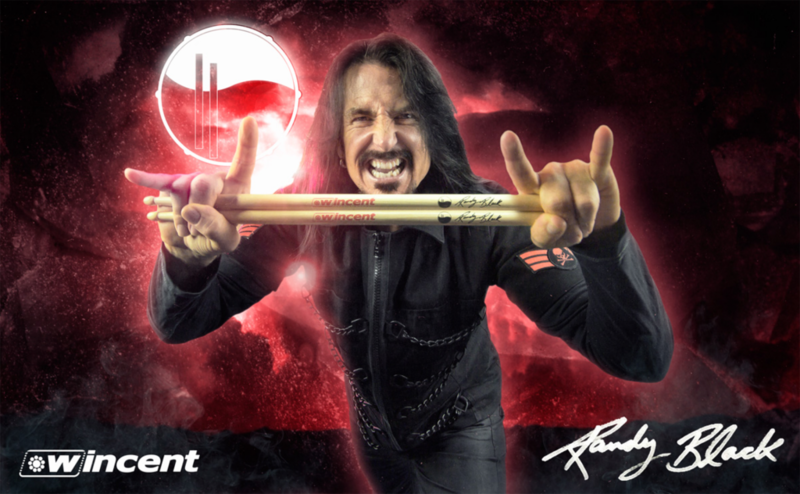 In 2013 Randy landed the drumming job for “Rock Meets Classic” playing with a 45 piece orchestra accompanying the likes of Alice Cooper, Paul Rodgers, Uriah Heep, Bonnie Tyler, Eric Bazillian, Joe Lynn Turner and more. In 2014 Randy left Primal Fear and is now a freelancer in Berlin, Germany. 2015 saw Randy touring extensively with both W.A.S.P. and Destruction. 2016 Fellow Canadian band Striker released their CD “Stand In The Fire” which featured Randy on the drums. Through the years he’s climbed the ranks to become an international endorser and clinician for Pearl Drums, Sabian Cymbals, Aquarian Drumheads, Wincent Drumsticks, Audix Mics, plus many more great companies. Randy resides in Berlin, Germany and is a freelancer presently available for touring, recording, and teaching.